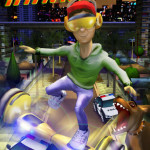 If you are in search of a good endless runner game app, your search is over with a new exciting Hoverboard Hank app. 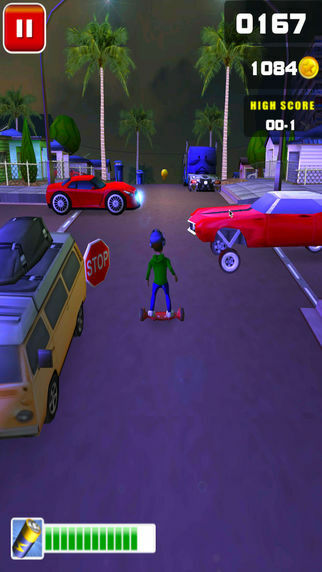 The game’s full name is Hoverboard Hank – Temple Surfers Endless Run and it’s an extremely fun game, where your character has to save itself from numerous hurdles in the street while running away from a fierce dog and collect various items on the road and coins too! The idea behind Hoverboard Hank is simple and the game seems to be simple in the early stages. However, as you progress forward it becomes more and more challenging offering you ultimate fun. Your character is a boy named Hank who comes on the road where an evil dog starts chasing him. To flee away, Hank starts running and hops on a hoverboard and his endless running journey starts! On the way, he comes across numerous hurdles like cars trying to run over him or crossing the road, and other hazards. You have to save your Hank from all these hurdles or he will be slowed down or your game will come to an end. But the hurdles coming across are not the only problems. You also have to face shortage of power. And so, you should be keen in collecting the items across the roads that resemble batteries; they can recharge your hoverboard. Besides these batteries, you will also get power-ups spread out along the road to recharge your hoverboard. You should avoid the obstacles and continue your journey, because you can score more only by going forth as long as you can. The game will record your highest score. The game has gyroscopic controls. This means you have to tilt your device to left or right or to and fro, for turning or speeding up respectively. The fun doesn’t end here. Along with the obstacles, you will also get coins along the road which you should collect as many as you can. With coins you can buy so many things! For example, you can buy a new hoverboard. Hoverboards are of different types, like the ones with only aesthetic appeal and the others with some real benefits such as a coin multiplier. But keep in mind that you will have to spend more on a higher quality hoverboard. You can also buy clothes and accessories with the coins for your Hank, like jeans, hoodies, hats, goggles, shoes, headphones and backpacks. Thus you can customize Hank, though you cannot change his looks. 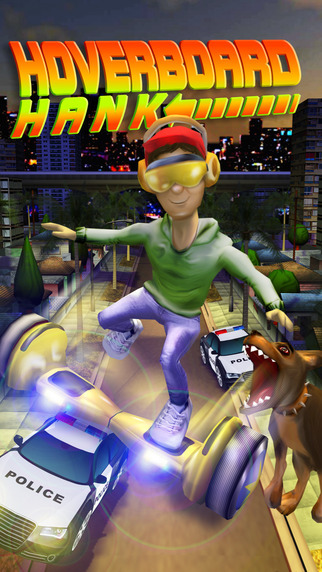 Hoverboard Hank is available on Google Play as well as iTunes. So, don’t lag behind; download it now and get an endless enjoyment with the endless run!